Coupon on mobile phones Functionality is released! We will try to post more information about this new feature over the weekend and have a very detail tutorial published. 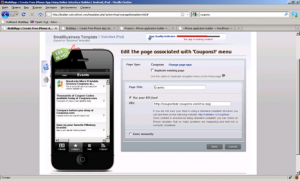 Coupons function allows the user to create and share coupons to offer special discounts to their customers. 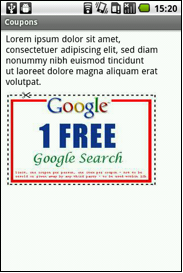 They can use RSS feeds or HTML editor to create coupons. The function supports both RSS feeds and manual entry (‘use your RSS feed’ and ‘Enter manually’ radio buttons).